GALION — New leadership at the Crawford Park District means not much will be changing anytime soon, and that is a very good thing. With the retirement of Director Bill Fisher after more than ten years on the job, he has passed the position into the more-than-capable and well-prepared hands of long time naturalist Josh Dyer. 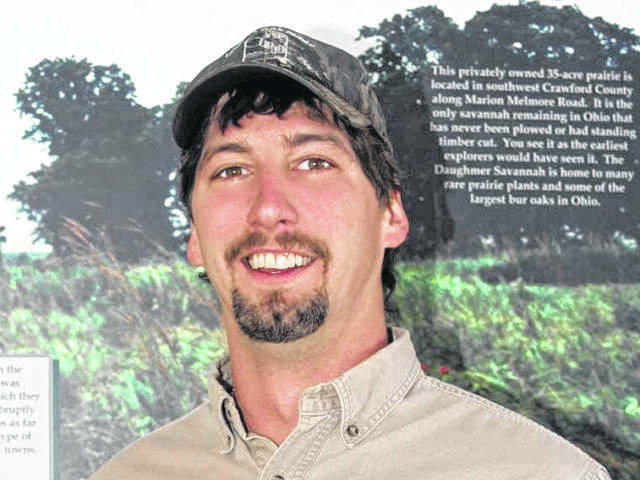 Dyer has worked with the Crawford Park District as both a naturalist, and most recently as programming director. He has been there for longer than a decade. In preparation for this change, Abby Ditomassi was brought on as a naturalist earlier in 2018, to replace the Dyer. Dyer said that while his position as director is certain to take him in different directions with the park district, some events will still see him as a very active participant. Nature Camp each summer is something he definitely isn’t ready to let go of completely. Dyer was quick to note that the most recent levy passage was a huge relief for the Crawford Park District. It has helped them move forward with upcoming plans, not just at Lowe Volk, but the other district locations across the county. A couple of those plans include the expansion of the parking lot at Lowe-Volk, as well as the acquisition of 30 acres of land across Ohio 598. Newly appointed Crawford Park District Director enjoys 2018 Mud Day at Lowe Volk Nature Center with Max Longwell and his sister Alison. Dyer took over as CPD Director earlier with month with the retirement of Bill Fisher after a decade at the helm. https://www.galioninquirer.com/wp-content/uploads/sites/38/2018/11/web1_img-1860_orig.jpgNewly appointed Crawford Park District Director enjoys 2018 Mud Day at Lowe Volk Nature Center with Max Longwell and his sister Alison. Dyer took over as CPD Director earlier with month with the retirement of Bill Fisher after a decade at the helm.